For our family Christmas dinner this year my kids requested that I make my famous “Sunday Sauce” (well, famous in my family at least) with meatballs. My pleasure! I wanted to try something a little different with the meatballs this go-around… I recently had ricotta meatballs at a tapas/cheese bar in Jersey City that were absolutely amazing, and I decided to riff off of those. 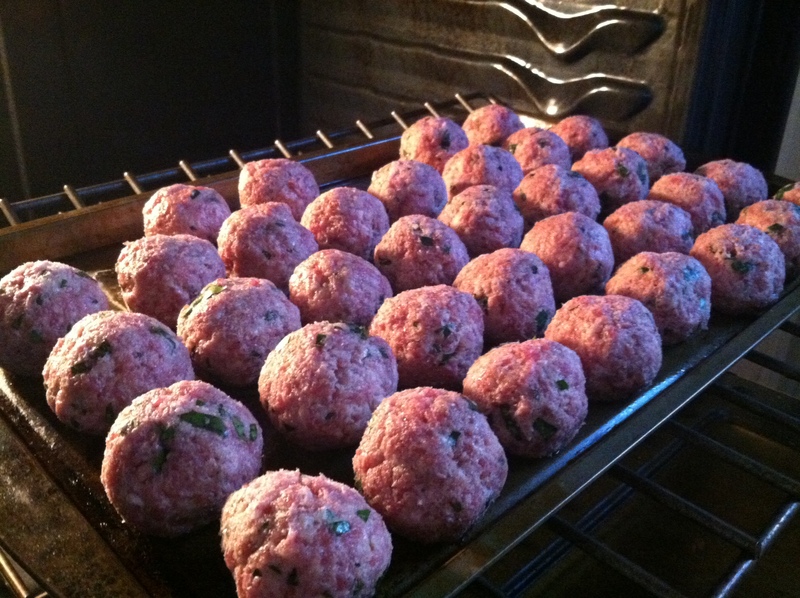 So here you have my recipe for Ricotta Herb Meatballs. I hope you enjoy! Makes 24-48 meatballs, depending on size. Using your hands, combine all of the ingredients listed above in a large bowl until well mixed. Lightly grease a large baking sheet. Roll out the meatballs by hand and place on the baking sheet with a little space between so they don’t stick together when cooking. Bake at 400F for 35 minutes. My batch came out to 36 1.75-2″ meatballs, I know some people like them larger or smaller so your yield will depend on your preference. If you plan on serving them immediately allow to rest for 5 minutes at room temperature before doing so… Personally, I recommend simmering them in sauce for 1-2 hours for a more tender and flavorful meatball. I also made some fantastic Parmesan Egg Bread to accompany the sauce and meatballs, maybe you should to give that a try as well! 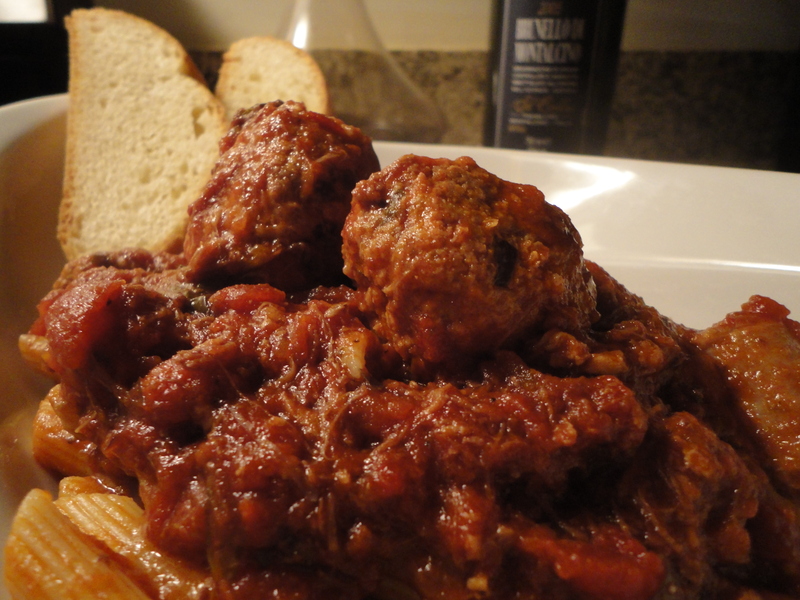 Tags: gravy, herbs, meatballs, parmesan, pasta, perfect pairings, perfect pairings at home, ricotta, sauce, sunday sauce. Bookmark the permalink. Delicious! Yours were the best ever.